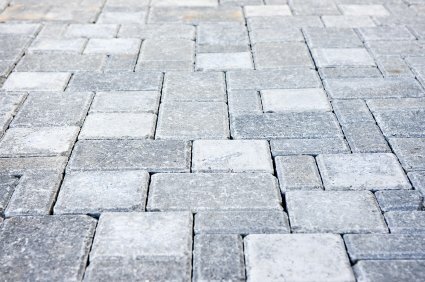 Pavers are flat slabs or tiles made of any one of different materials that are laid along a surface to make a path that is clean and level for walking, yet is appealing and attractive to the eye. AAP Construction has been laying pavers and pleasing customers since 1993 and we are confident we can please you! Laying pavers is not the simple job it may seem to be. Making a footpath with pavers is part and parcel of landscaping. This means using lines and levels to ensure a straight lines and vertical surfaces. One also has to conduct groundwork to lay out the track where the pavers will be placed and adhered. AAP Construction, as a full-fledged mason service, has the requisite knowledge in related areas to stand us in good stead for paving work. What's more, we'll do the job affordably. One has to select pavers and materials with awareness of the surroundings and in harmony with the architecture. For example, if you are a housing society manager and want long stretches of paving to be redone simply, inexpensively and lastingly, concrete slabs are are your best choice. If you are a homeowner and want to set off your potted plants, then multicolored tiles may be the way to go. In business since 1993, we have the experience to inform you of all your options – the final choice is yours. You can have gray flagstones, red-toned bricks, or mosaic tiles. We will provide you all these options, and more. Go ahead and call us at (973) 298-1013! You have nothing to lose and everything to gain. A service rep will make a no pressure visit. You'll get multiple possibilities for pavers plus a free quote!